Jannat Ali Kalyar from Digital Rights Foundation prepared a policy brief regarding data protection and privacy in the digital age. 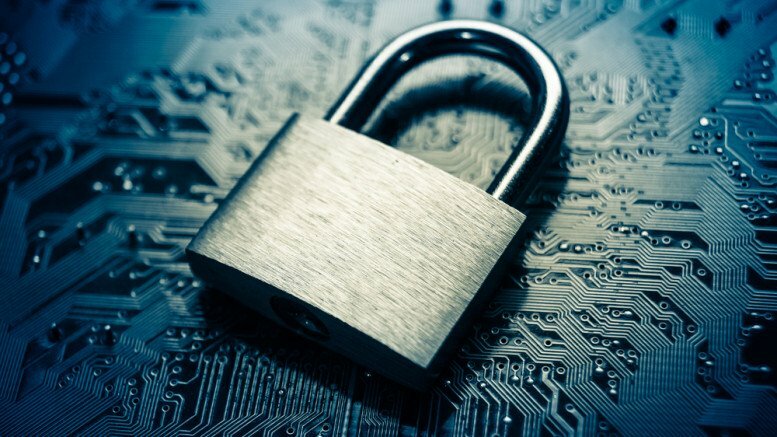 The policy brief significantly expands the discussion on legal safeguards, the general lack of guidance on Privacy and the broad powers given to the Pakistan Telecommunication Authority (PTA) under the existing legal regime. Read the blog post here. Nighat Dad spoke at Oxford University on Navigating Social Media: Tackling Violence, abuse and Harassment” on November 2, 2017. Nighat was hosted by Oxford University Pakistan Society, and talked about why and how she felt the need to establish an organisation to raise the concerns that not only affect her as a woman but also to other millions of women in Pakistan - the issues that go back to the patriarchal roots the society is based on, and the issues that have been oppressing women for centuries. The talk was attended by the students of the university, which also included the youngest Nobel Prize recipient, the amazing Malala Yousufzai. She applauded the efforts that DRF is doing to make online spaces safe for women, including the Cyber Harassment Helpline. 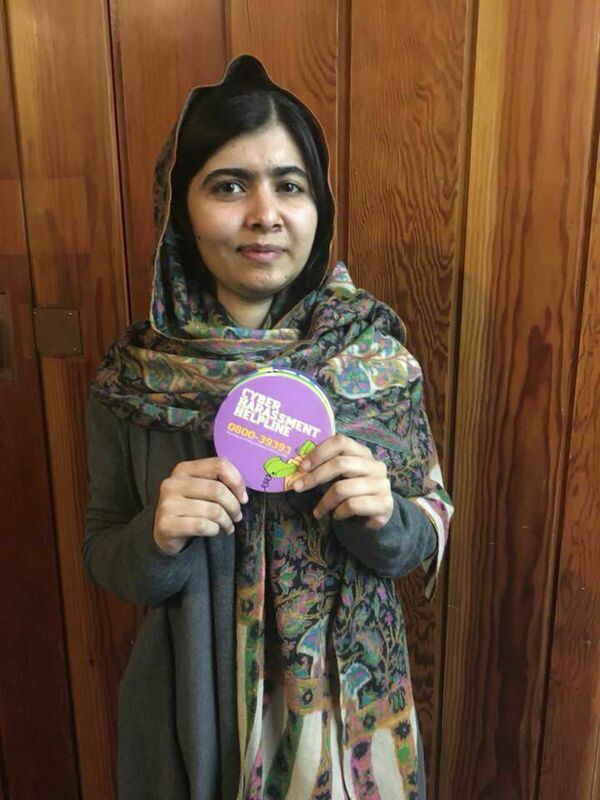 Because the DRF team is focused on doing a lot of things, the limelight of the week was knowing that Malala has been following our work very closely and has been excited about the launch of the helpline as much as we were. It’s safe to say that we had a little celebration at the DRF office amidst the chaos. 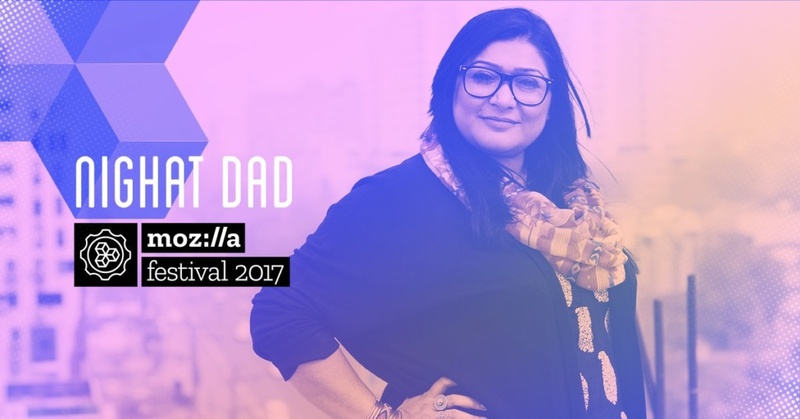 Nighat Dad was part of the diverse lineup of speakers advocating for digital rights around the world for this year’s MozFest. Nighat shared her frustration for being invited on yet another global festival and to speak about inspirational success stories on yet another stage in front of yet another group of people, and finally go back to the real life where people are still facing injustice, where women are still oppressed, where her understaffed Cyber Harassment Helpline team is exhausted while trying to provide relief to the victims of online abuse with limited resources, and while trying to make things a little better than they were before the event that she attended. She talked about how her mouth hurts now to be speaking at panels and conferences without having to see the situation getting better. Watch her full talk at MozFest here. DRF submitted the report to the UN Special Rapporteur on online violence against women. The report explores the laws and institutions that are in place within Pakistan to deal with issues of online violence against women. Facts and figures are used to gauge the extent of the problem and its nature, relying on data provided by the government, law enforcement agencies and collected by DRF. A legal analysis of the legislation is accompanied by an appraisal of the implementation of the laws and the functioning of institutions on the ground. Reported judgments are also analysed to gauge jurisprudence (interpretations of the laws) as well as legal principles developed by local courts. The purpose of the report is not only to analyse the existing structures, but to situate them within the lived experiences of women facing online violence. This experience is elucidated through case studies as well as analysis done by DRF’s cyber harassment helpline team. The report can be accessed here. Hija Kamran from Digital Rights Foundation was part of a 5-day digital rights camp, COCONET, that took place from October 21 till 26, 2017 in Indonesia. The camp was organised in an informal setting and gathered 120 digital rights activists from South Asia and Southeast Asia, and aimed at discussing the state of digital rights from the region and encouraging collaboration and bringing everyone on one platform to promote well-being of the citizens beyond borders. The intervention from the representative of DRF was largely based on curbing online gender based violence and the tools and approaches that have been and can be proven effective in the context of conservative societies. The panel discussion was facilitated by Maham Javed and included Sarah Eleazar along with Shmyla Khan and Nighat Dad of DRF. They discussed the issues that women faced online as well as a call to action to “fix” the internet and imagine it from a feminist framework. 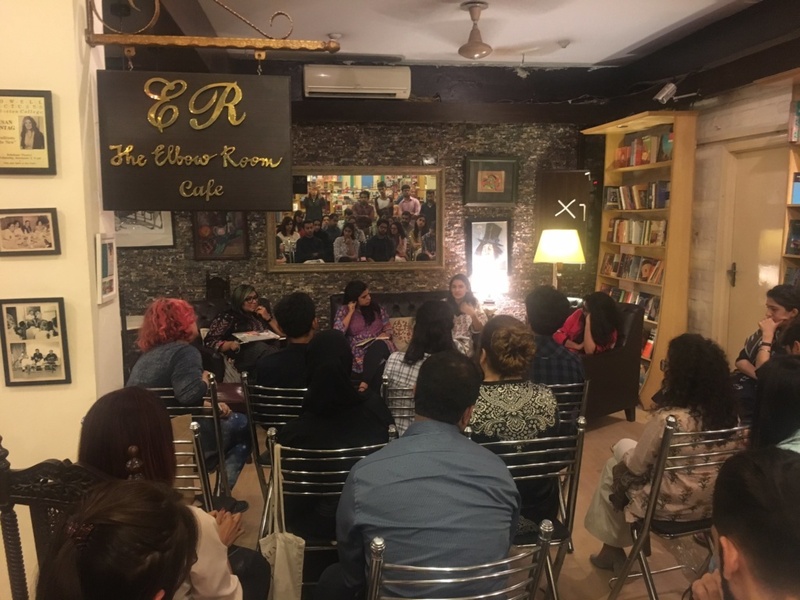 The event was organized by 'Well-connected women', a journalistic project about feminism and the internet in Pakistan, called. In the panel DRF was represented by Shmyla Khan who highlighted the barriers that women face in STEM fields in Pakistan, such as equal progression/ equal pay, as well as local biases and stereotypes preventing women from taking up roles. The panelists shared strategies on how women can “make it” in fields related to science and technology, and shared their personal journeys. Digital Rights Foundation (DRF) conducted an awareness raising on the online safety of female students at Bahria University, Islamabad on 10th October, 2017. Participants included 85 female students from the Law, Media Studies and Social Sciences departments. The presentations given by the DRF team focused on cyber harassment laws and policies, the impact of harassment on women, DRF’s cyber harassment helpline, threat modelling, controlling access online and digital safety. Digital Rights Foundation carried out an awareness raising workshop on November 1st, 2017 at Forman Christian College (A Chartered University) Lahore, with the collaboration of Women Empowerment Society and Forman Journalism Society. There were 72 number of female students from Journalism department. During the workshop several issues were discussed such as online violence against women, cyber harassment, cyber stalking, spear phishing attacks etc. Digital security team by DRF demonstrated on how to use digital devices safely and securely.